Theodore von Kármán (1881-1963) was a Hungarian-American engineer and scientist, best known for his pioneering work in the use of mathematics and the basic sciences in aeronautics and astronautics. He served as the first Director of GALCIT from 1930-1949 and the first director of JPL from 1938-1944. Von Kármán was the third of five children of Maurice and Helene von Kármán. His father, a professor at the University of Budapest and commissioner of the Ministry of Education, reformed the Hungarian secondary-school system and founded the Minta (Model) Gymnasium, which his son attended, as did the atomic physicists George de Hevesy and Leo Szilard. Von Kármán showed a natural mathematical facility at an early age and was well on his way to becoming a child prodigy when his father, fearing that he would become a mathematical freak, guided him toward engineering. On completing his undergraduate studies in 1902 at the Royal Polytechnic University in Budapest, he decided to pursue his engineering career in the academic world, which would enable him to fulfill his wide scientific interests and to practice the art of teaching, which his father had inspired in him. In later years, he was delighted when engineers to whom he had imparted his scientific attitude and methodological approach acknowledged him as their teacher. Between 1903 and 1906 he served on the faculty of the Polytechnic University and as consultant to the principal Hungarian engine manufacturer. The research that von Kármán conducted on the strength of materials prepared the way for important later contributions to the design of aircraft structures. He was awarded a two-year fellowship to the University of Göttingen, Germany, in order to obtain a doctor’s degree, but before completing it he went to the University of Paris. There, after an all-night party, a friend suggested that, instead of going to sleep, they watch the French aviation pioneer Henri Farman fly his machine. Farman successfully completed a 2-km (1.25-mile) course, unknowingly providing the inspiration for the young man who was to become a founder of the aeronautical and astronautical sciences. Shortly thereafter, Ludwig Prandtl, a pioneer of modern fluid mechanics, invited von Kármán to return to Göttingen as his assistant on dirigible research and to complete his degree. The environment at the university was admirably suited to develop von Kármán’s talents. He responded, in particular, to the school of the eminent mathematician Felix Klein, which stressed the fullest use of mathematics and of the basic sciences in engineering to increase technological efficiency. In 1911 he made an analysis of the alternating double row of vortices behind a bluff body (one having a broad, flattened front) in a fluid stream, now famous as Kármán’s Vortex Street. The use of his analysis to explain the collapse, during high winds, of the Tacoma Narrows Bridge in the state of Washington, in the United States in 1940, is one of the most striking examples of its value. In 1912, after a short stay at the College of Mining Engineering in Hungary, he became director of the Aeronautical Institute at Aachen (Aix-la-Chapelle) at the age of 31, remaining until 1930. In World War I he was called into military service and, while at the Military Aircraft Factory at Fischamend in Austria, led the development of the first helicopter tethered to the ground that was able to maintain hovering flight. After the war, as his international reputation grew, so did that of the institute. Students came from many countries, attracted by the intellectual and social atmosphere he had created. To help reestablish contacts and friendships broken by the war, he was instrumental in calling an international congress on aerodynamics and hydrodynamics at Innsbruck, Austria, in 1922. This meeting resulted in the formation of the International Applied Mechanics Congress Committee, which continues to organize quadrennial congresses, and gave birth, in 1946, to the International Union of Theoretical and Applied Mechanics, with von Kármán as honorary president. He began traveling widely in the 1920s as a lecturer and consultant to industry. After his first visit to the United States in 1926, he was invited in 1930 to assume the direction of the Guggenheim Aeronautical Laboratory at the California Institute of Technology (GALCIT) and of the Guggenheim Airship Institute at Akron, Ohio. His love for Aachen made him hesitate, but the darkening shadow of German Nazism caused him to accept. He never regretted his decision. When President John F. Kennedy presented to him the first National Medal of Science in 1963, he “pledged his brain as long as it lasted” to the country of which he had become a citizen in 1936. Shortly after his arrival at the California Institute of Technology, his laboratory became again a mecca of the world of the aeronautical sciences. Two years later he became a founder of the U.S. Institute of Aeronautical Sciences, consultant to various American industries and to the government. His personal scientific work continued unabated with important contributions to fluid mechanics, turbulence theory, supersonic flight, mathematics in engineering, aircraft structures, and wind erosion of soil. His open-mindedness was well demonstrated by his involvement in the development of astronautics. In 1936, in spite of the general disbelief in academic circles in the possibilities of rocket propulsion and its applications, he supported the interest of a group of his students in the subject. Within two years the U.S. Army Air Corps sponsored a project at his laboratory on the use of rockets to provide superperformance for conventional aircraft—especially to reduce their distance of takeoff from the ground and from naval aircraft carriers. In 1940 von Kármán, together with Frank J. Malina, showed for the first time since the invention of the black-powder rocket in China in about the 10th century that it was possible to design a stable, long-duration, solid-propellant rocket engine. Shortly thereafter, the prototype of the famed jet-assisted takeoff (JATO) rocket was constructed. This became the prototype for rocket engines used in present-day long-range missiles, such as the Polaris, Minuteman, and Poseidon of the U.S. armed forces. In 1941 von Kármán participated in the founding of the Aerojet General Corporation, the first American manufacturer of liquid- and solid-propellant rocket engines. In 1944 he became the cofounder of the present NASA Jet Propulsion Laboratory at the California Institute of Technology when it undertook America’s first governmental long-range missile and space-exploration research program for the U.S. Ordnance Department. When he took leave from the institute in 1944 to establish in Washington, D.C., the Air Corps Scientific Advisory Group for General Henry H. Arnold, commander of the U.S. Army air forces in World War II, von Kármán could look back on his participation in a number of major contributions to rocket technology: America’s first assisted takeoff of aircraft with solid- and liquid-propellant rockets, flight of an aircraft with rocket propulsion alone, and development of spontaneously igniting liquid propellants of the kind that were to be used in the Apollo Command and Lunar Excursion modules some 25 years later. His dedication to international scientific cooperation led him in 1947 to propose to the United Nations the establishment of an international research center for fluid and soil mechanics in the Middle East, which, though unfulfilled, contributed to the development by UNESCO of the Arid Zone Research Project in 1950. He conceived the idea of cooperation among aeronautical engineers of the member nations of the North Atlantic Treaty Organization (NATO) and, in 1951, obtained approval to launch the Advisory Group for Aeronautical Research and Development (AGARD), of which he was chairman until his death. In 1956 his efforts brought into being the International Council of the Aeronautical Sciences (ICAS) and, in 1960, the International Academy of Astronautics. One of the outstanding activities of the academy under his presidency was its sponsorship, in 1962, in Paris, of the First International Symposium on the Basic Environmental Problems of Man in Space, at which for the first time scientists from the United States and the Soviet Union, as well as other countries, exchanged information in this field. Between 1960 and 1963 he led NATO-sponsored studies on the interaction of science and technology. An appreciation of von Kármán’s personality must also take account of his nonscientific talents. He was much interested in poetry and literature and could always supply a story appropriate to any occasion. When the atmosphere became charged with tension in a scientific meeting, he was able to restore balance by drawing on his collection of anecdotes. He had a fantastic capacity for work and left behind him wherever he went a trail of bits of paper covered with calculations. He was an optimist and believed in the future, despite the prevailing difficulties in the world. Von Kármán never married. His mother and his sister, Josephine, lived with him from 1923 onward in the Netherlands near Aachen and later in Pasadena, Calif. His sister was his manager and hostess until her death in 1951 in America. Brother and sister were devoted to each other, and her death plunged von Kármán into deep depression for several months, during which he was unable to work. 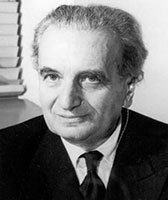 Von Karman passed away on a trip to Europe in 1963. He is buried in Los Angeles at the Beth Olam Mausoleum at the Hollywood Forever Cemetery. His name is immortalized in the scientific community in a large number of concepts, some listed below, along with named laboratories at the California Institute of Technology, the Arnold Engineering Development Center of the U.S. Air Force at Tullahoma, TN, and the NATO institute for fluid dynamics at Saint-Genesius-Rode, Belguim which also bear his name. A crater on the Moon has carried his name since 1970.